Quality workmanship, combined with speed and control over costs, translates into a positive end result for each and every client we serve. Our work varies widely in client type, size, and scale. We are experienced in building grocery stores, medical facilities, office buildings, retail stores, restaurants, and state and municipal project. L.R. 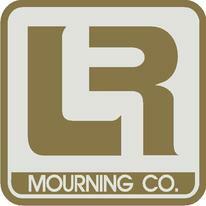 Mourning Company is a multi-million dollar general contractor, specializing in commercial construction. At L. R. Mourning Company, we are proud of the caliber of our employees. Their capabilities are expanded through our internal training program. Our site supervisors are seasoned professionals who bring a high level of expertise to our operations. The result is a confident and professional staff. We believe a successful approach to commercial construction involves the combination of several key components. Most important is the implementation of engineering and architecture, driven by economics and time. At LR Mourning Company we will maintain a safe and productive work environment for our employees, suppliers and customers. We will operate this enterprise with foundations built upon organization integrity, personal growth, and mutual respect.